This is what a Class 66 looks like between operators. Former DRS 66412 is pictured here in plain black livery, with no hint of its new Freightliner ownership. 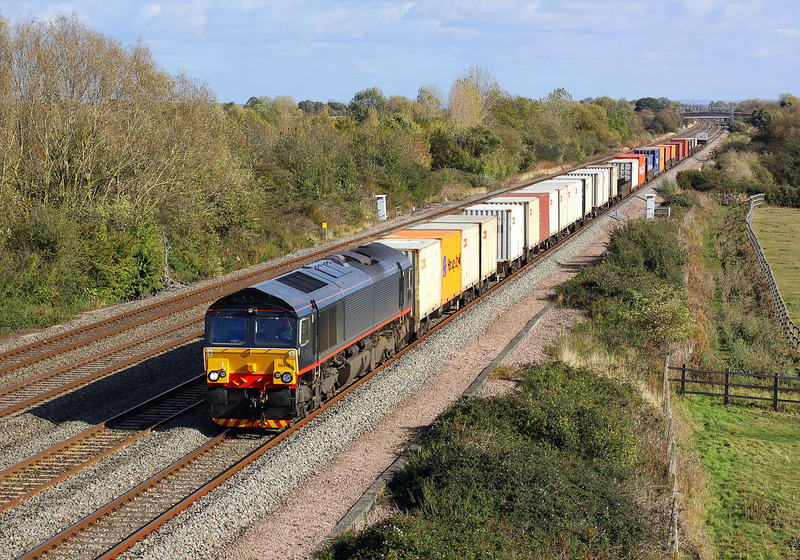 It passes Circourt Bridge, Denchworth on 18 October 2011 with the 4V50 10:54 Southampton to Wentloog freightliner. Obviously soon to be repainted into Freightliner green, it seems a pity, as it looks quite distinctive, especially with its front end embellishments.